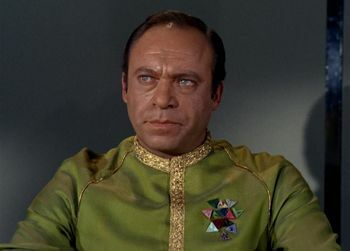 In Star Trek: The Original Series, does James Kirk have any named superior officers, officers who would deliver orders to him and who would expect them to be obeyed? I seem to remember the presence of admirals in the series, but my admittedly skimpy research has failed to unearth any names or character detail. 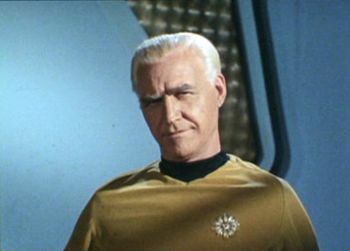 Commodore Robert April, a previous commander of the Enterprise. 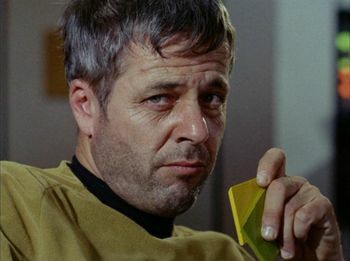 Commodore Matt Decker, killed by the Doomsday Machine. Commodore Stone, who once oversaw Kirk's court martial. 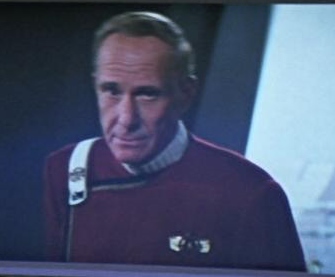 Vice Admiral Fitzpatrick, who ordered the Enterprise to K-7 during The Trouble with Tribbles. Fleet Admiral Harry Morrow, Commander of Starfleet. 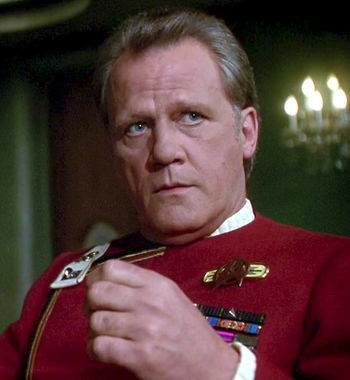 And of course, throughout all of this, the Federation President, who while not necessarily a member of Starfleet, is Commander In Chief of all Starfleet forces and thus Kirk's superior. There may be more, but I'd say that's a healthy start. There were several officers in the original series who could order Kirk around, and mostly they were Commodores. 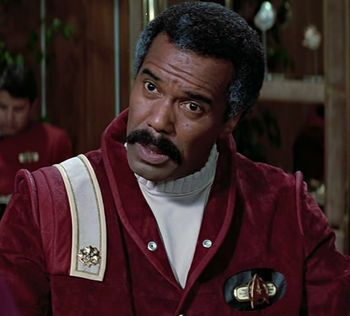 Commodore Wesley is the one that sticks most in my mind. He commanded the fleet that challenged the M-5 computer in wargames during the episode, "The Ultimate Computer." 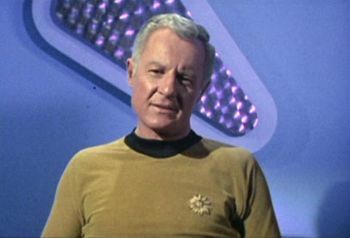 Just about everything Kirk did in that episode was against his better judgement, under the orders of Commodore Wesley. 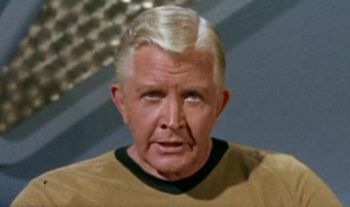 Another one that comes to mind is Commodore Decker, who seized control of Enterprise to hunt "The Doomsday Machine." 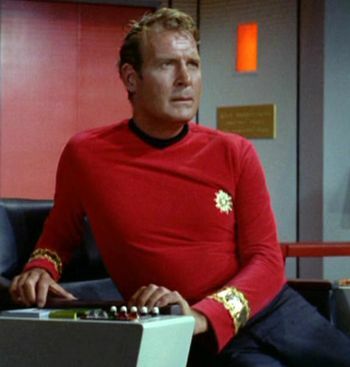 Basically, any Commodore in the show had the authority to command or override Kirk, though under normal circumstances Kirk was generally considered in charge of his ship, regardless of the presence of higher-ranking officers. 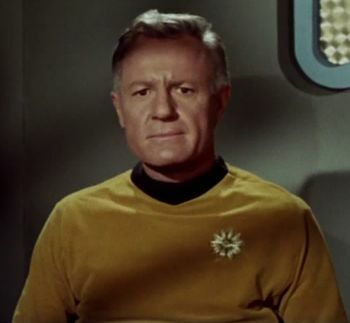 Kirk normally is under the command of higher ranking officers on starbases and/or at Starfleet Command headquarters on Earth, although that is not usually mentioned in episodes. Captain's Log, star date 1535.8. UESPA headquarters notified of the mysterious loss of science probe vessel Antares. KIRK: Open a channel to our nearest command base. Quarter hour reports on our position and status. RAND: We finally received an answer from Command base, sir. They say they'll support whatever decision you have to make. 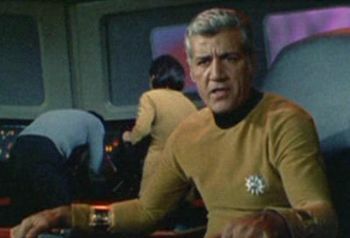 The Enterprise visits Star Base 11 in "Menagerie", where it is commanded by Commodore Mendez, and in "Court Martial", where it is commanded by Commodore Stone. 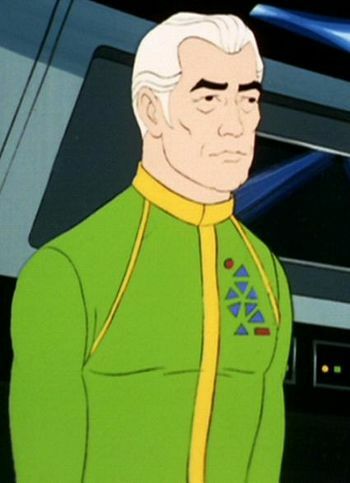 It is possible that the commanders of the starbase are also the commanders of the region of space the Enterprise is assigned to in those episodes. UHURA [OC]: Commodore Mendez, urgent. Subspace monitors show Enterprise receiving transmissions from planet Talos Four in violation of Starfleet General Orders. UHURA [OC]: Captain Kirk is here by relieved. You are ordered to assume command of the Enterprise. Disable vessel if necessary to prevent further contact. Message signed ComSol, Starfleet Command. The natural assumption is that Comsol is Com Sol, the abbreviation for Commander Sol (Sector?). But once it was possible to make detailed screen captures, it was discovered that Robert L. Comsol decreed General Order 7. In "Space Seed" Kirk and the Enterprise are apparently assigned to a different sector. KHAN: I have a few questions first. What is your heading? KIRK: Our heading is Starbase Twelve, a planet in the Gamma 400 star system. Our command base in this sector. Is that of any use to you? 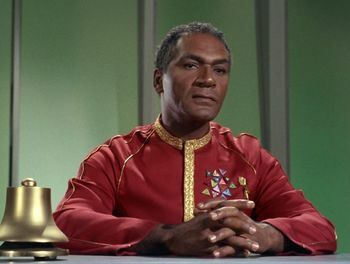 UHURA: Red Two message in one minute, Captain. Starfleet Command. Code Factor one, sir. And Kirk talks to Commodore Barstow, who may be the commander of the sector the is assigned to at the moment. KIRK: Lieutenant, put me through to Admiral Komack at Starfleet. STARBASE [OC]: You will divert immediately to sector three nine J.
KIRK: Sir, the Enterprise just completed an exhausting mission. We're on our way in for R and R. There must be another starship in that sector. STARBASE [OC]: Negative. This is a rescue priority. We've lost all contact with solar system Gamma Seven-A, which the Intrepid was investigating. And we've just lost contact with the Intrepid. Report progress. KIRK: Order acknowledged. Kirk out. Mister Kyle, you heard the order. Set course for Gamma Seven-A, warp five. ADMIRAL [on monitor]: Captain, it is not necessary to remind you of the importance to the Federation of Sherman's Planet. The key to our winning of this planet is the grain quadrotriticale. The shipment of it must be protected. Effective immediately, you will render any aid and assistance which Undersecretary Baris may require. The safety of the grain and the project is your responsibility. Starfleet out. The end credits name Admiral Westervliet. 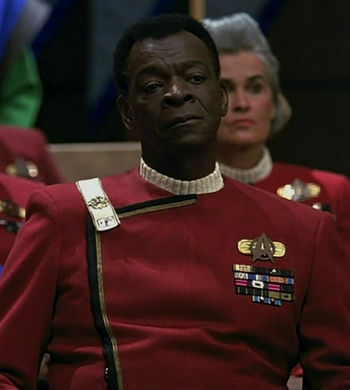 ADMIRAL [on viewscreen]: I sympathize deeply, but Starfleet cannot override Federation directives in this matter. The final draft script calls him Admiral Fitzpatrick but the cast list calls him Admiral Fitzgerald. Why aren't there any commodores in Star Trek: The Next Generation and after? Why would any Federation starship (such as the Enterprise) have any spouses or youth onboard? What evidence exists supporting that Roddenberry thought of TOS as non-canon? Why did the captain of the Enterprise - B seem so inexperienced? How did a Star Trek writer's name end up in The X-Files? What is the release date order for all of Star Trek? Were there any named, blue beverages in the original Star Trek series?